Leo has a secret. A mysterious illness has transformed him into a phantom boy, able to leave the confines of his body and explore the city as a ghostly apparition. While in the hospital, he befriends Alex, a New York City cop injured while attempting to capture a nefarious gangster who has taken control of the city’s power supply, throwing the metropolis into chaos. Now they must form an extraordinary duo, using Leo’s phantom powers and Alex’s detective work to foil the plot and save New York from destruction. 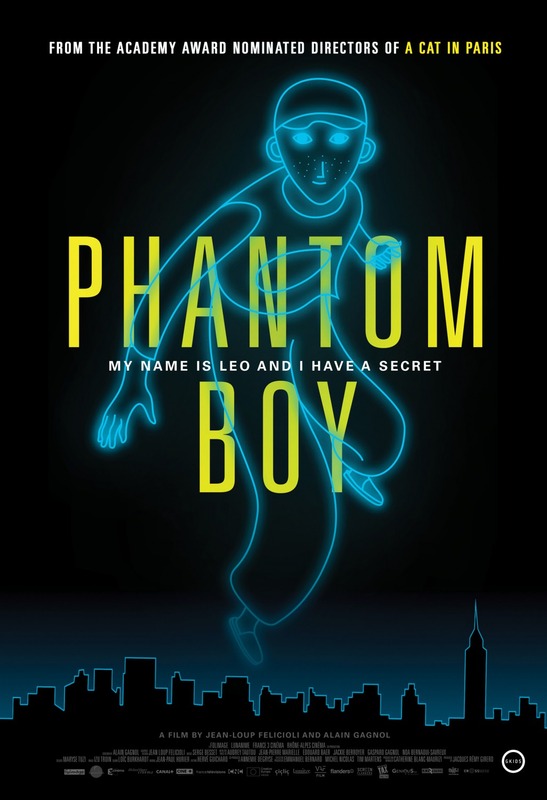 Phantom Boy continues Gagnol and Felicioli’s fascination with animated film noir, in a heart-thumping adventure that pushes their trademark visual style to literal new heights, as Leo swoops and soars above the greatest skyline in the world.